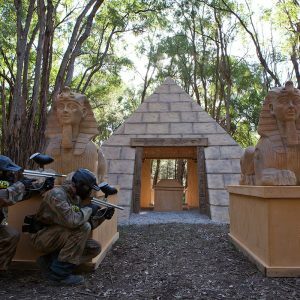 Brisbane Paintball Scene Gets An Overdue Boost! 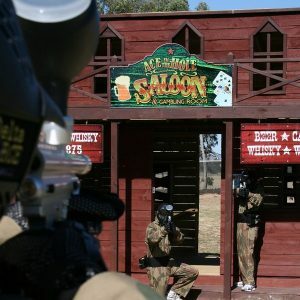 The Paintball scene in Brisbane will never be the same with the opening of the much anticipated Delta Force Paintball – Petrie on Saturday. This $1m development includes amazing game scenarios including the world’s only full-scale Blackhawk helicopter. “The maps are like nothing I’ve seen before in Paintball” said Lee Jay, an eager participant at the Grand Opening. Many players were blown away by the shear size and scale of this new facility and the professionalism shown by the Delta Force staff. The Brisbane Times and Courier Mail have picked up the story and published it on Saturday. The enquiries and future bookings coming in for this new super-centre further exemplify the popularity of this amazing new centre. The lucky players on Grand Opening day were also treated to some “energy” from the RedBull Wings Team. Angela and Alexis from RedBull were fantastic and well received by all the players. The centre in Petrie is Delta Force Paintball’s 37th Paintball centre around the world. 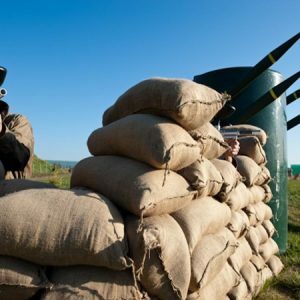 To get in on the action and experience this new level of Paintball adventure, call the friendly booking team on 1300 850 744 for more details.